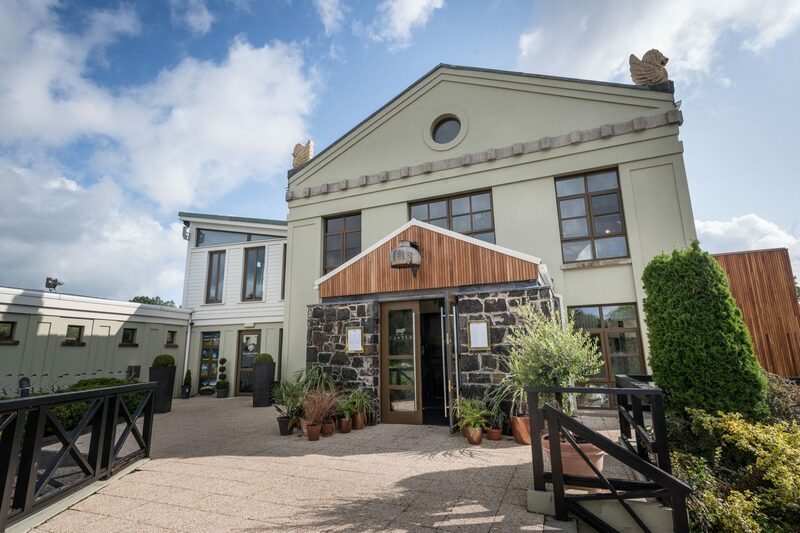 An investment of more than £700,000 by owners, Tullymore House Ltd., has seen the former Pavilion restaurant at the golf club transformed into a plush new 150-seater BBQ smokehouse and bistro that is unrecognisable from its previous incarnation. 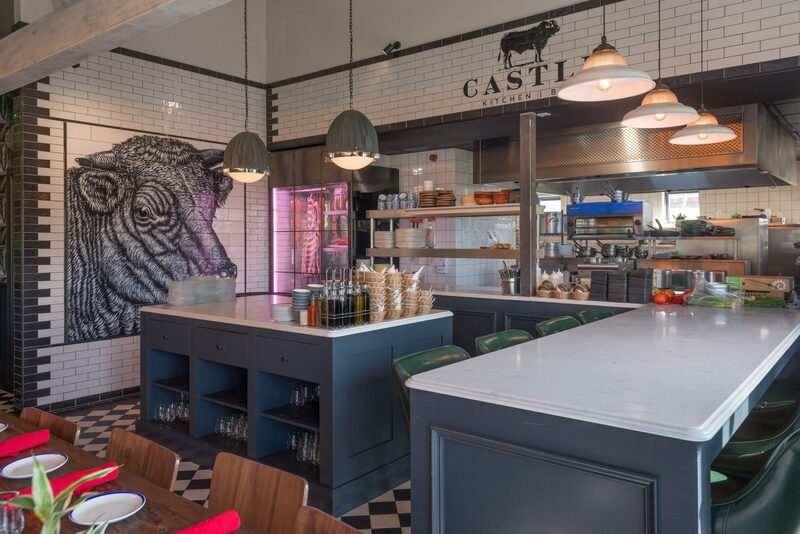 Castle Kitchen & Bar is the latest addition to the group’s burgeoning portfolio of venues and a valuable addition to available dining options for guests at Galgorm Resort & Spa just a couple of miles away. Thoroughly revamped décor and some significant structural changes at the restaurant have transformed the interior. And outside, a re-developed, shaded terrace offers an additional 60 covers with stunning views across the Castle grounds and the surrounding golf course. Inside, the new restaurant bears little resemblance to its predecessor. The Pavilion’s slightly dated visuals have been swept away to create a new, contemporary space that’s entirely in keeping with the luxury feel of the resort & spa nearby. A wrap-around horseshoe bar now sits at the centre of a new, more open interior. 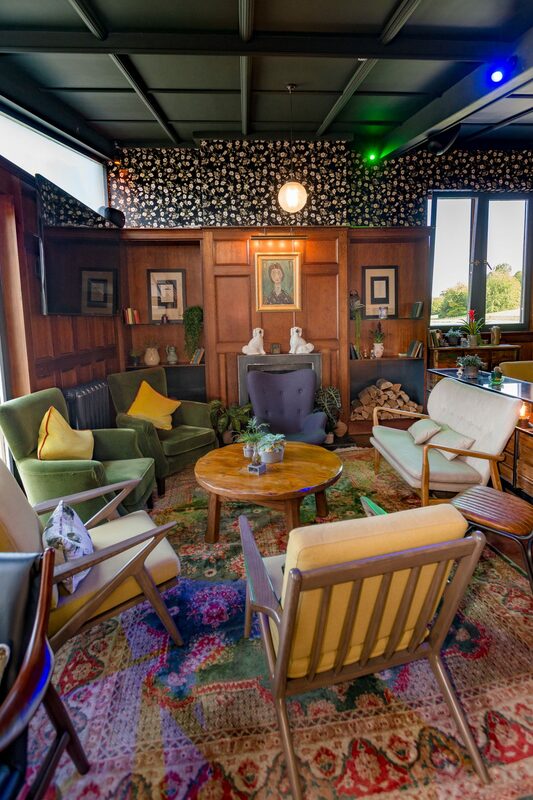 Walls have been removed and the old kitchens and toilets relocated to provide an airy, informal space centred on comfortable leather sofas, a feature wood-burning stove and a line of eye-catching artificial trees which run down the centre of the room. Although the venue is open for food and drink to non-residents of Galgorm Resort & Spa, it also shares a symbiotic relationship with its sister venue at Cullybackey less than three miles away. A new deal with local BMW dealership, the County Garage, means that luxury transport is available for guests who want to travel from the hotel to sample the food and ambience at the Castle Kitchen & Bar. There’s an earthy cookhouse feel to proceedings at the Castle Kitchen, dominated by an open plan cooking area at the rear of the restaurant that’s complete with a lump-wood fire pit in which the steak you choose yourself is cooked before your eyes – possibly the only place that this is done in NI. 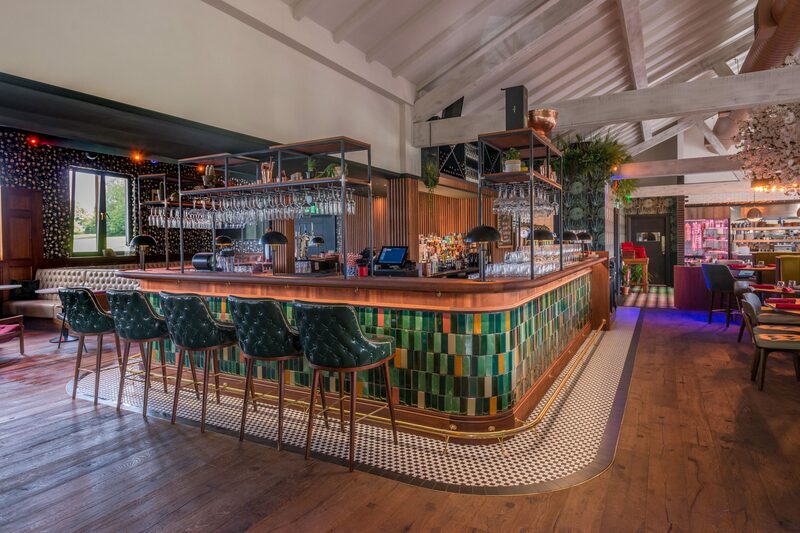 Under the watchful eye of the signature bull motif that adorns the tiles – hand-painted by Ballymena artist, Paul Bell – the kitchen serves up a menu of spicy street food minis, salt-aged steaks and dry-rubbed beef. Around 70 per cent of the Castle Kitchen’s trade originates from local residents and much of it is repeat business, so Aaron is confident that many customers who have already eaten at one of Galgorm resort’s three existing restaurants will be keen to sample what’s on offer at the new venue. 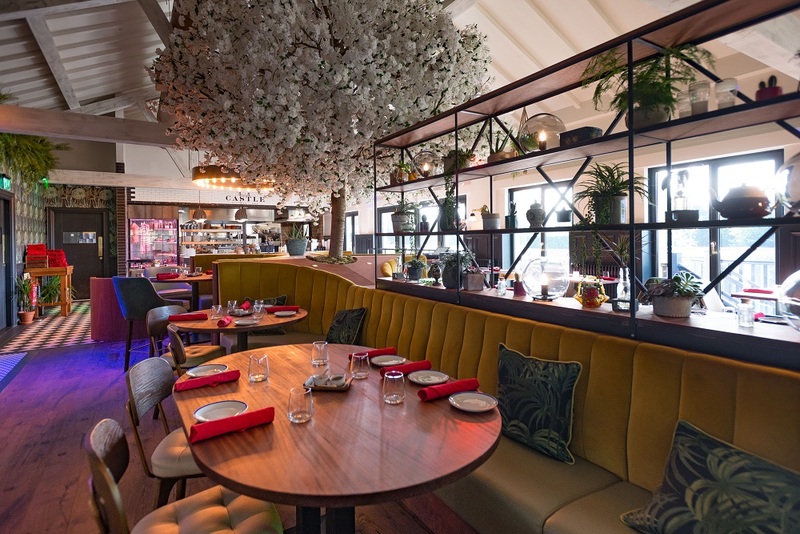 The timing of the re-vamped restaurant opening was ideal, falling just before the NI Open golf tournament, which took place at the Galgorm course in early August. Castle Kitchen took full advantage of the additional footfall at the site by organising extra attractions including a beer tent, and Aaron Logan reported that in terms of an early boost to the restaurant’s reputation, their efforts “definitely paid off”. “Going forward, I think that once things settle down, we will do a few more tweaks,” he told LCN. “We have had feedback on different aspects of the venue and we can change those things if we want to. Then we want to roll this out fully at the hotel, get our team totally on board, get the shuttle service up and running and get all our packages in place.